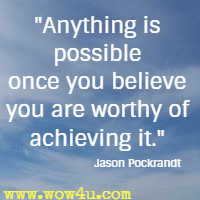 Let these believe in yourself quotes remind you that you have a lot to offer! Believe that you were created for a purpose. Believe in your abilities. 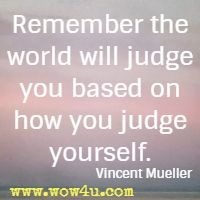 "Remember the world will judge you based on how you judge yourself." 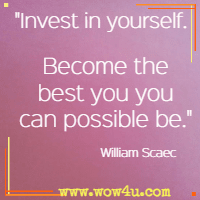 Vincent Mueller, Self Discipline: 30 Day Bootcamp! "It is necessary for us to believe in ourselves in order to become the best person that we can be." Quirky Grandma, Love the Person You See in the Mirror! Always speak well of yourself and consistently visualize your life working out as you want it. Andrew Matthews, Being Happy! Everyone is selling all the time. 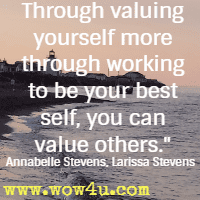 No matter who you are, every time you meet someone, explain an idea, talk on the telephone, or give an opinion, you are selling your most valuable asset: you. Napoleon Hill, Selling You! 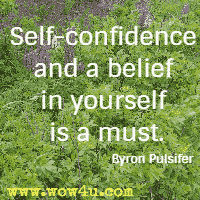 "Instead, we need to start thinking about how we believe in ourselves, really, truly, deeply. God believes in us, so why not try this out in our own lives?" Louie Herron, Driven By F.I.R.E. The word "impossible" is black. "I can" is like a flame of gold.